Just like a Beach Boys song, there are so many travellers around the world who want to take their next vacation in the Bahamas. It’s for good reason. The sands in the Bahamas are unlike any other in the world… And the water! It’s crystal clear and warm, perfect for just taking a dip or even for snorkeling and diving. 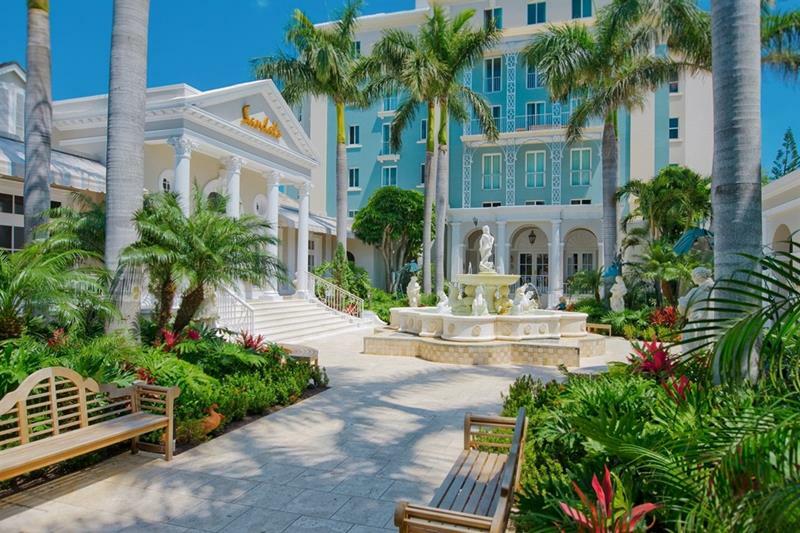 If you’re thinking about taking your own vacation in the Bahamas, though, you might be wondering where to stay. To be sure, there are plenty of great options, and you’re sure to enjoy yourself almost anywhere. 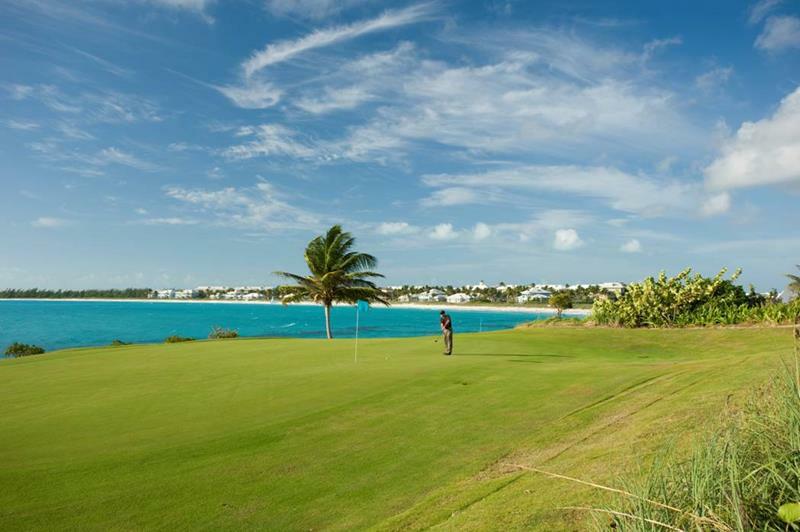 However, there are few resorts in the Bahamas that are simply a cut above the rest. 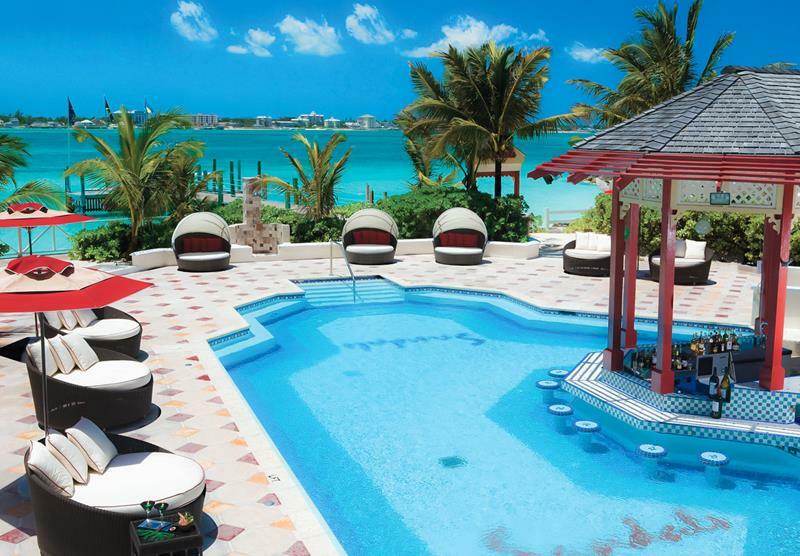 Arguably, the very best of those resorts is Sandals Bahamian Spa Resort & Offshore Island. Now, you may be thinking, “Sandals. I know what that’s all about.” But, bear with us for a moment. 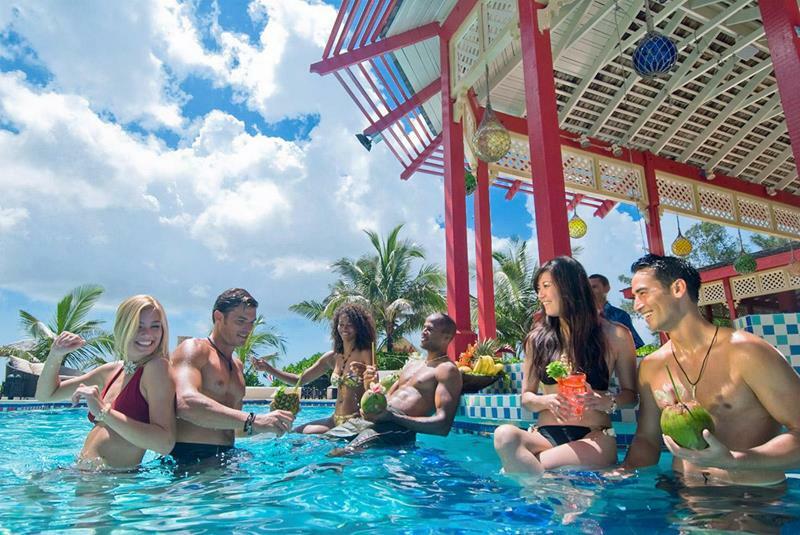 As you’ll see these Sandals resort is a step above any other Sandals resort you might have visited in the past. 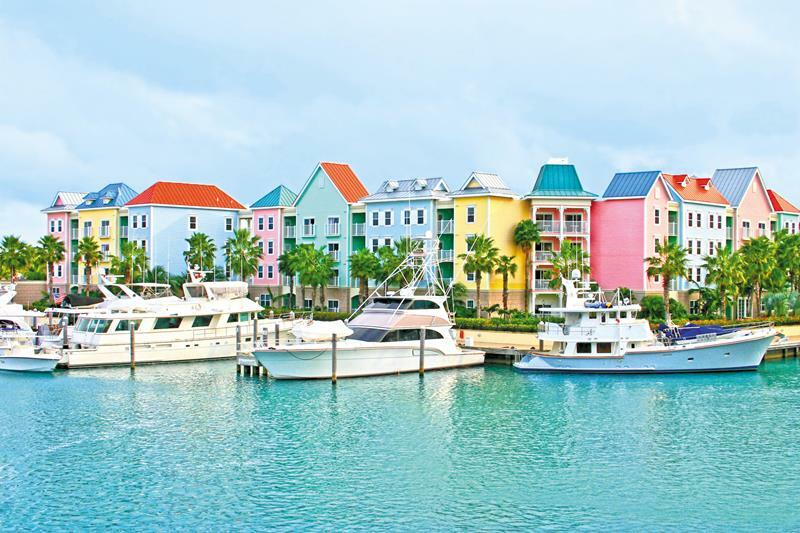 Plus, this resort happens to be located in one of the finest locations in all of the Bahamas: Nassau. So, come on pretty mama! 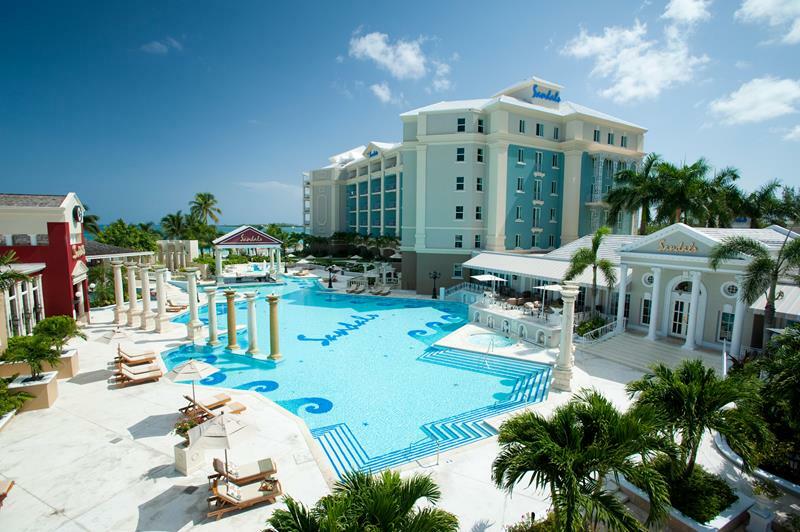 Take a tour of Sandals Bahamian with us! 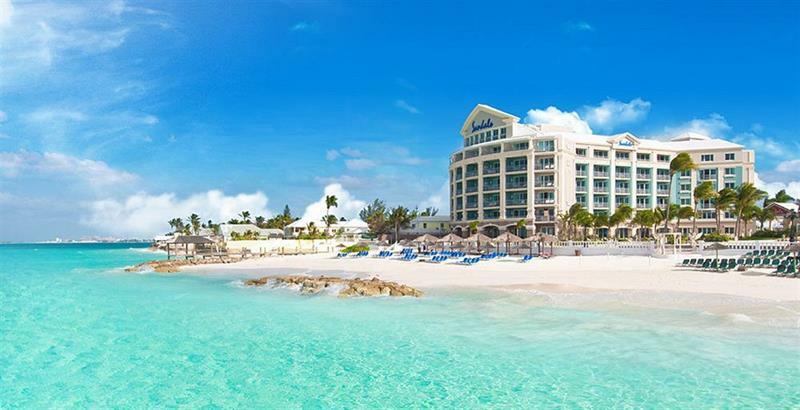 If there’s one place you need to visit when travelling to the Bahamas it’s Nassau, which is exactly where this resort is located. 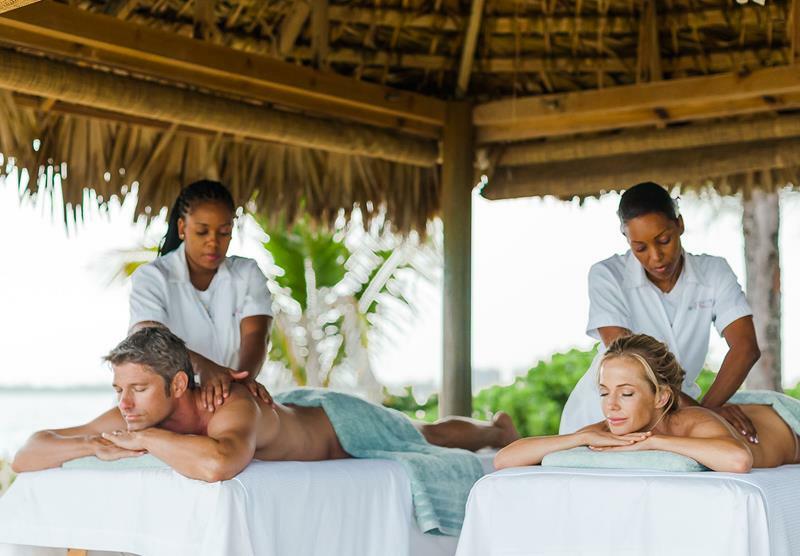 Situated along an idyllic stretch of Bahamian sand, Sandals Bahamian Spa Resort & Offshore Island has everything you could ever want. This resort has some history. It was once known as the Balmoral Club, which hosted the rich and famous during its time. Guests of the resort are able to enjoy not one, but two cove beaches that bake in the tropical sun. 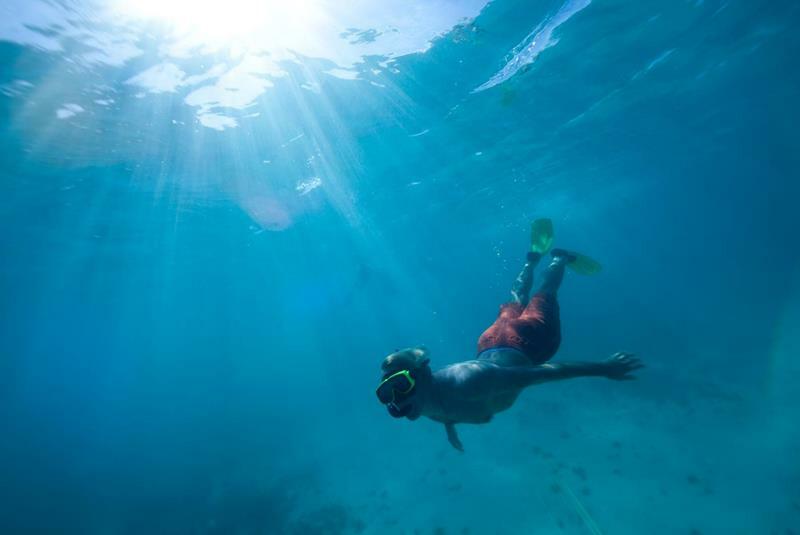 One of the most fun things you can do while you’re at one of the two beaches is go snorkeling. It’s quite an experience! Of course, the open ocean isn’t for everyone. That’s why the resort boasts multiple pools for guest to enjoy. 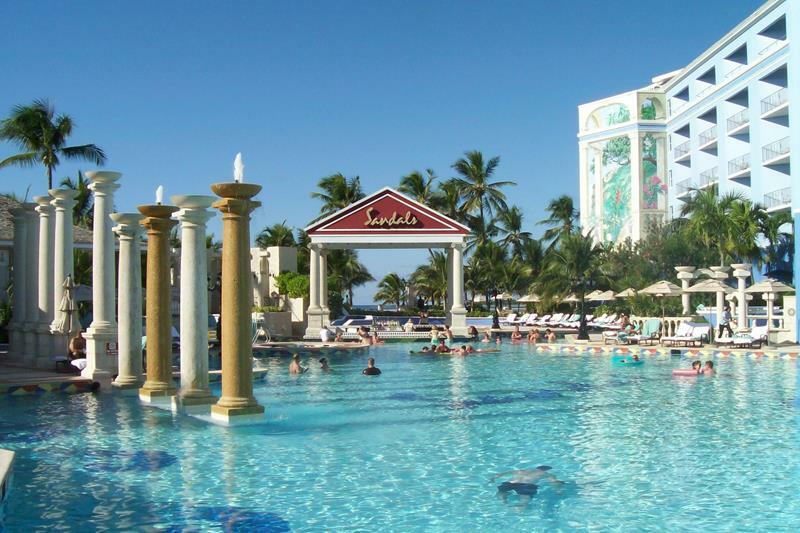 Across all of those pools, you’ll find three separate swim up bars where you can load up on mojitos and piña coladas. Of course, it’s not all about getting a sun tan, swimming and drinking. There’s plenty to do for the active sort! Got some money burning a whole in your pocket? Then be sure to check out the resort’s duty-free boutique. You’ll find any kind of dining experience you want at the resort. We recommend Baccarat for wonderful and refined French fare. 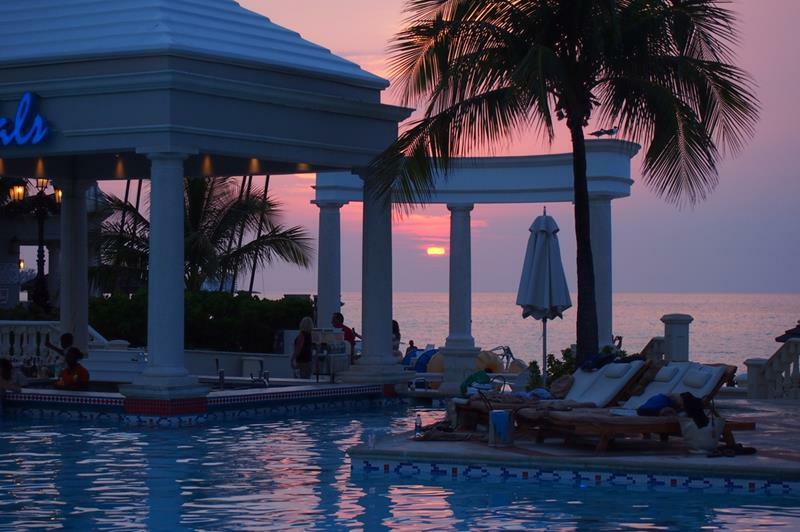 A tropical vacation is a time to unwind and relax. So be sure to book a massage or other treatment at the stunning spa. 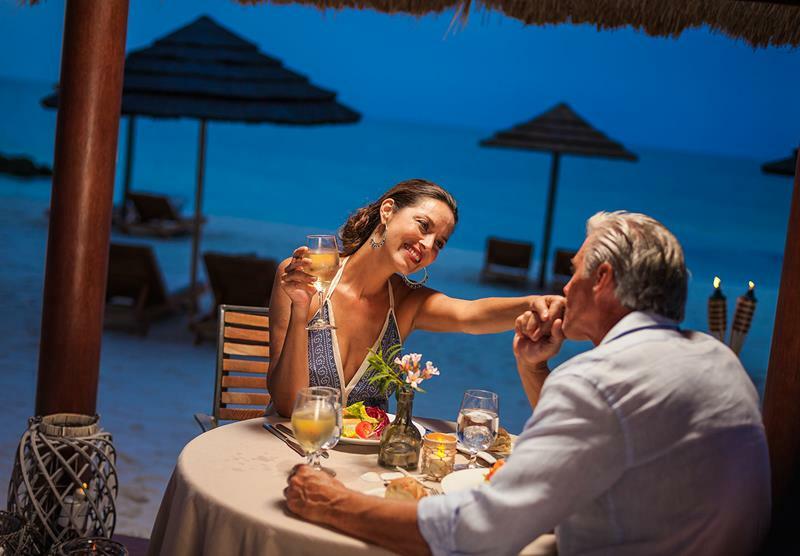 If you’re vacationing as a couple, then be sure to book a romantic candlelit dinner underneath the Bahamian sky. You’ll never want for entertainment options while you’re staying at the resort. It has everything from a piano bar to a raucous carnival party. 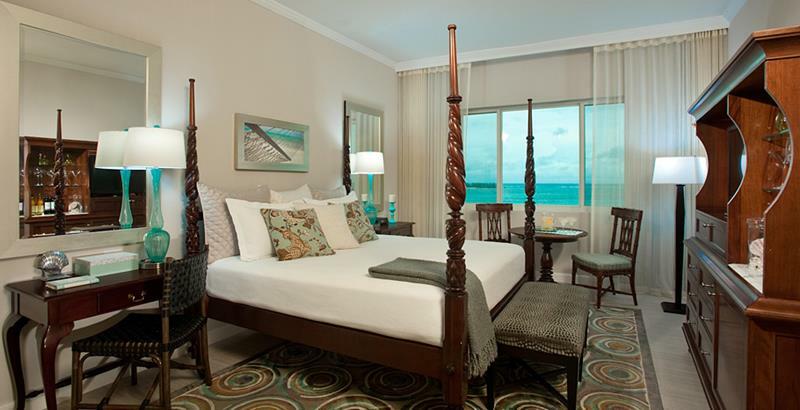 There are a number of different accommodations to chose from, including the luxurious Balmoral Oceanview suite. 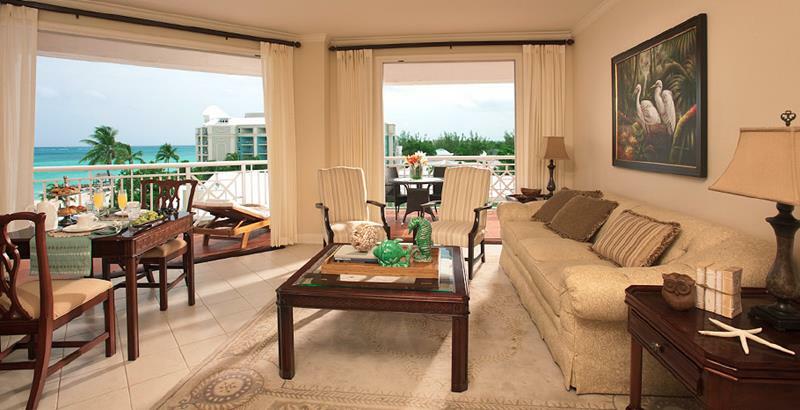 Of course, if you want the ultimate experience while you’re at Sandals Bahamian, be sure to book the Windsor Oceanfront Penthouse, which includes butler service. If you’re travelling to the Bahamas, then you’ve got to treat yourself. 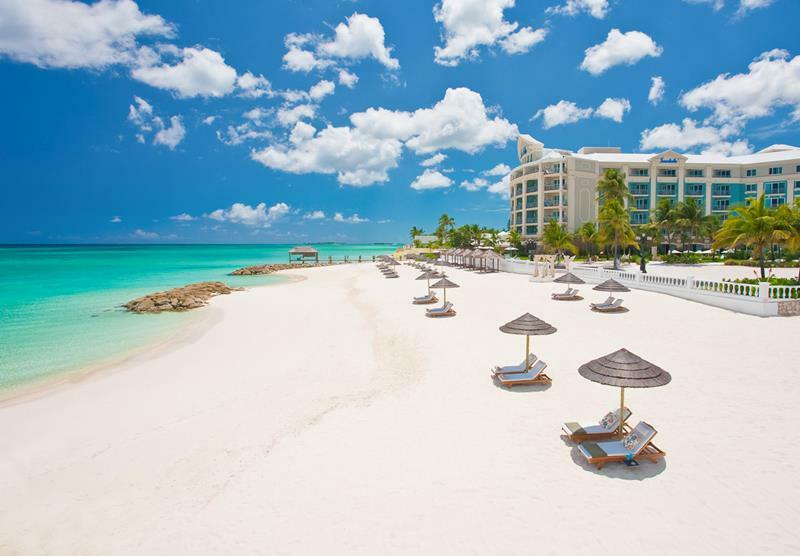 So be sure to book a stay at Sandals Bahamian before everyone else does.